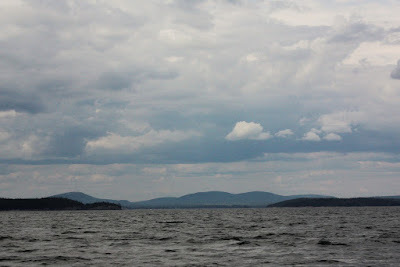 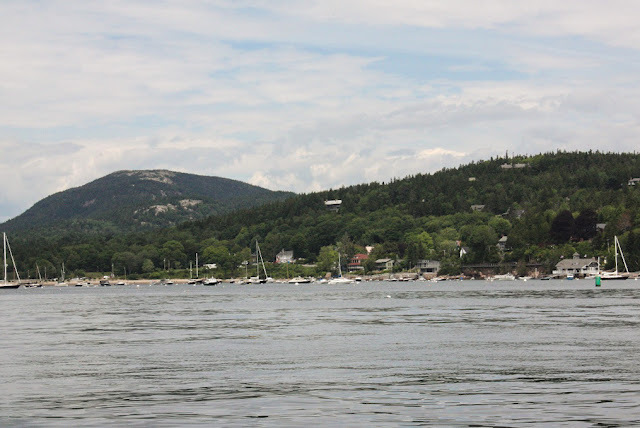 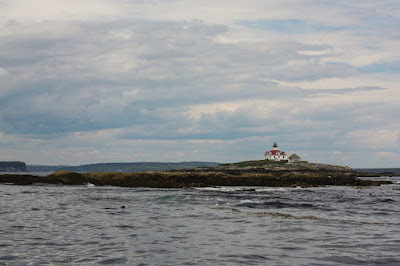 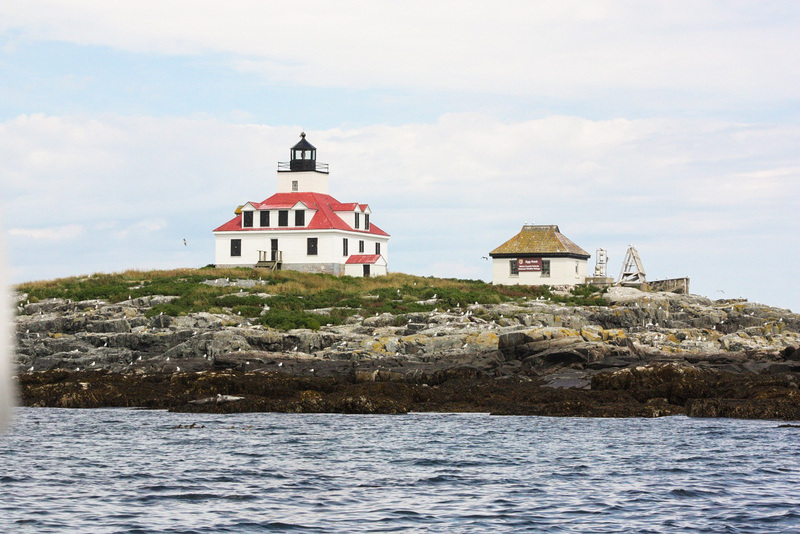 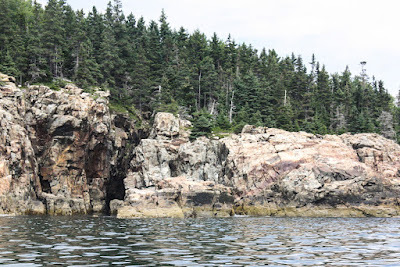 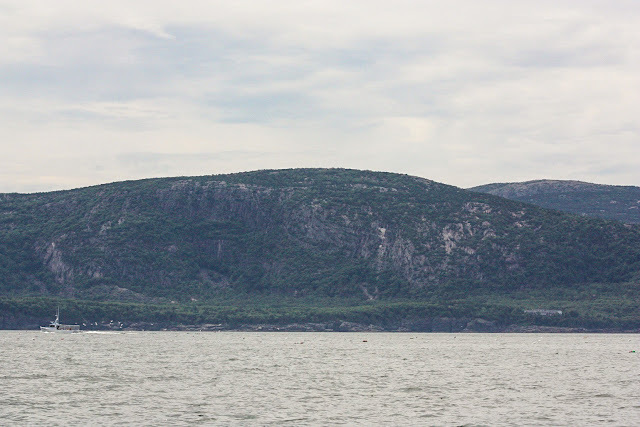 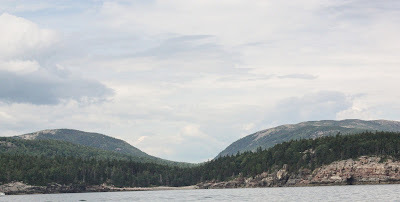 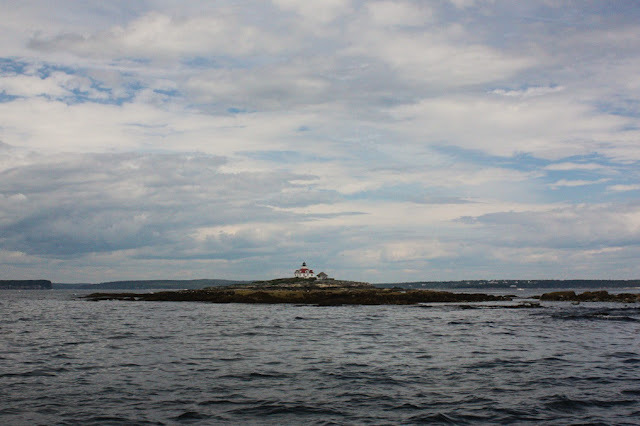 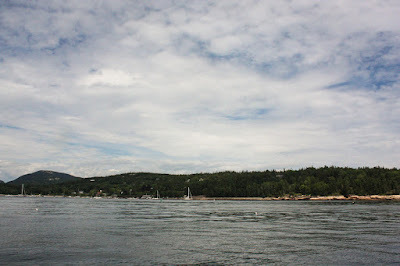 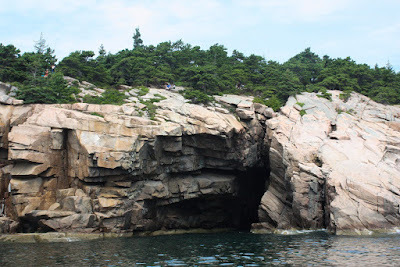 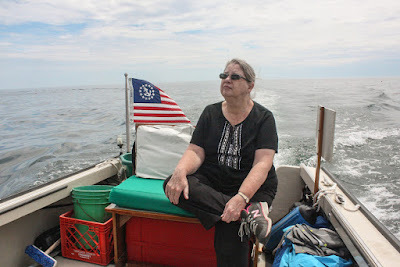 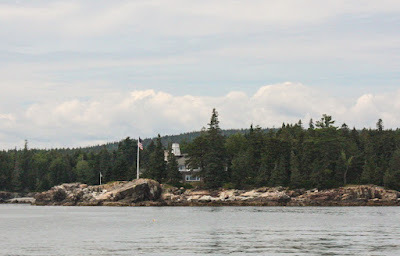 We have ventured out for several days that we have been in the Bar Harbor area by car and thought that a tour by boat would be different. It was indeed! 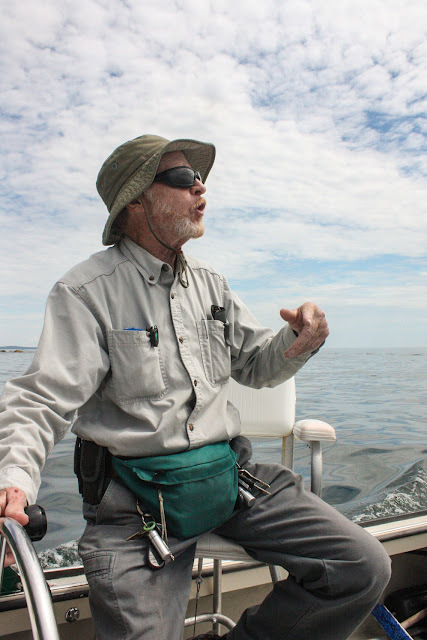 In the morning we met Captain Winston Shaw who could not have been a better guide. 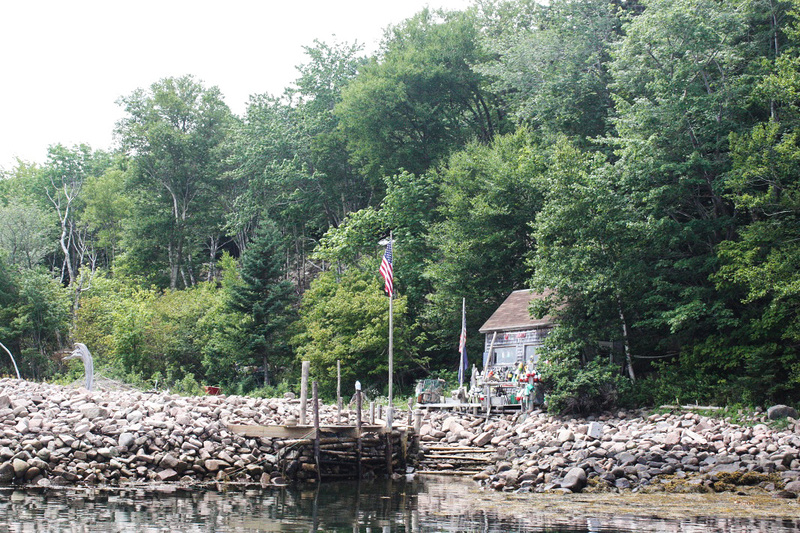 He has lived here almost his whole life. 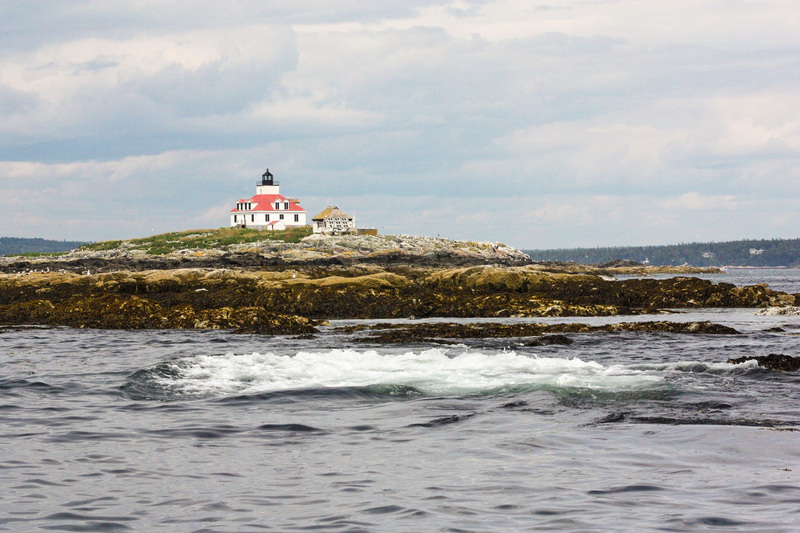 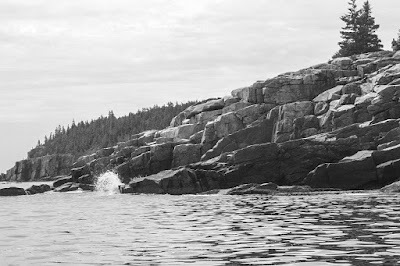 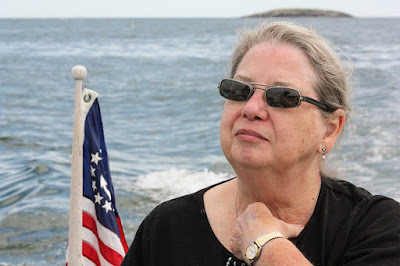 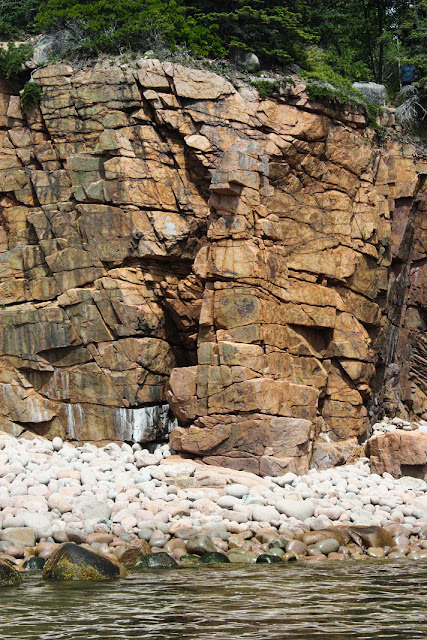 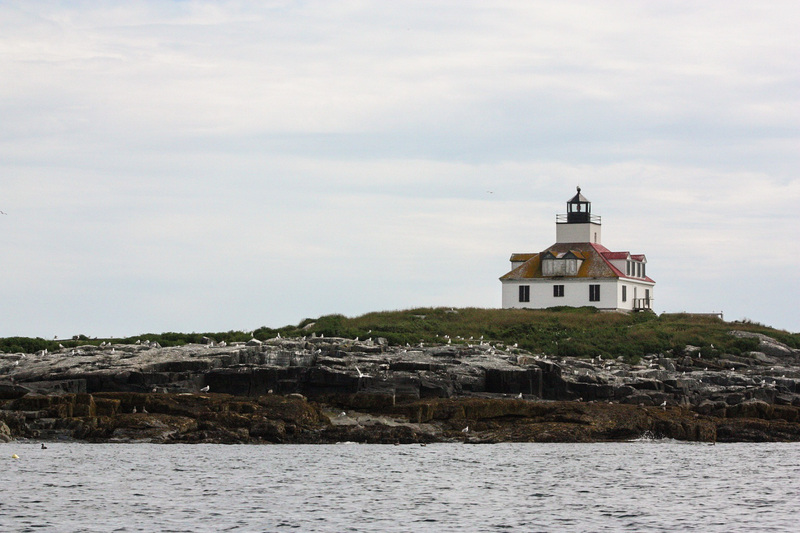 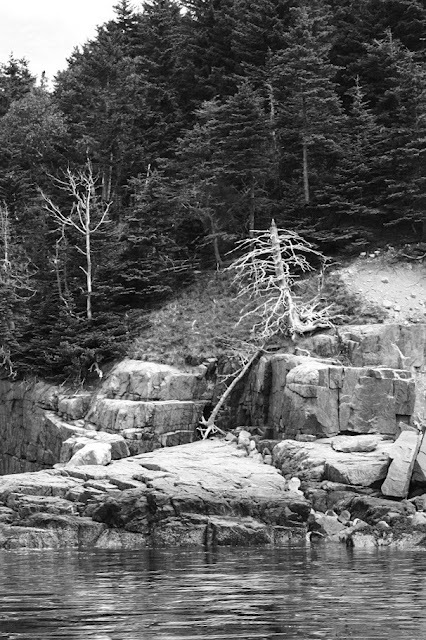 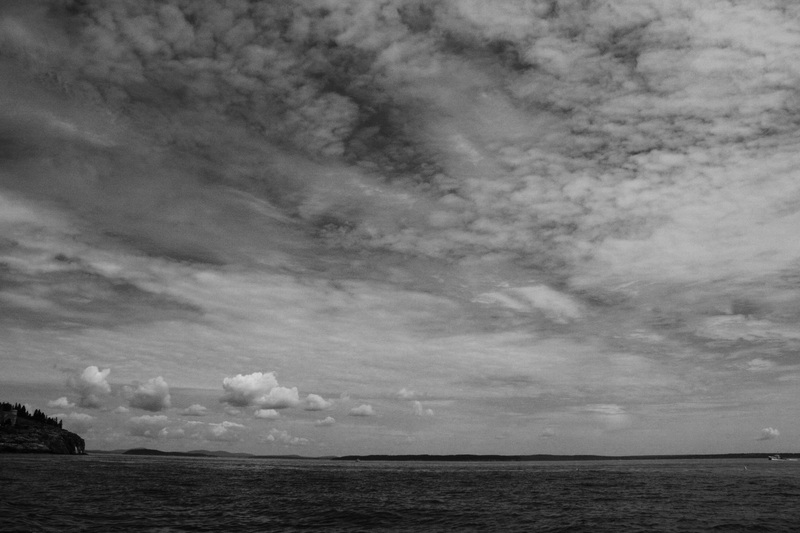 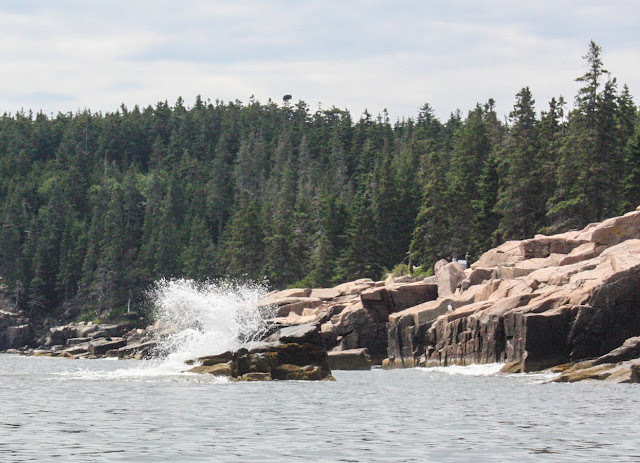 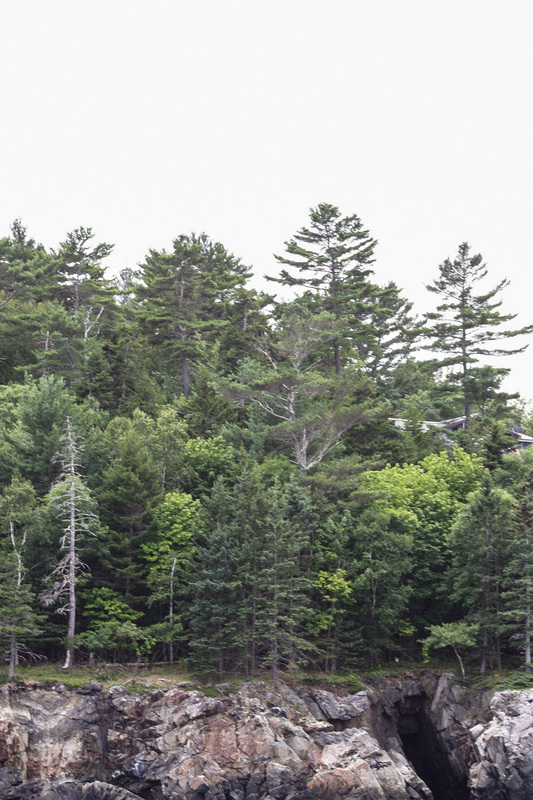 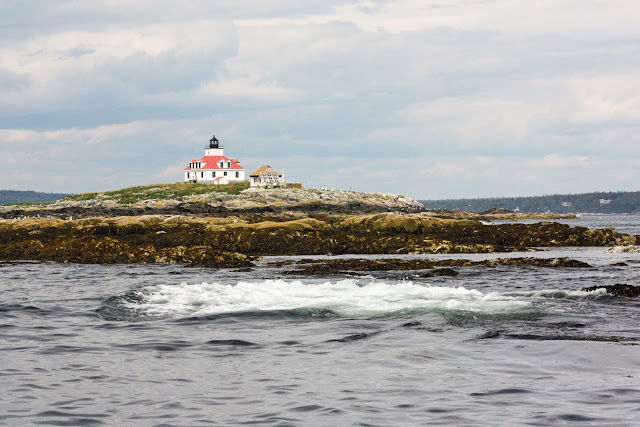 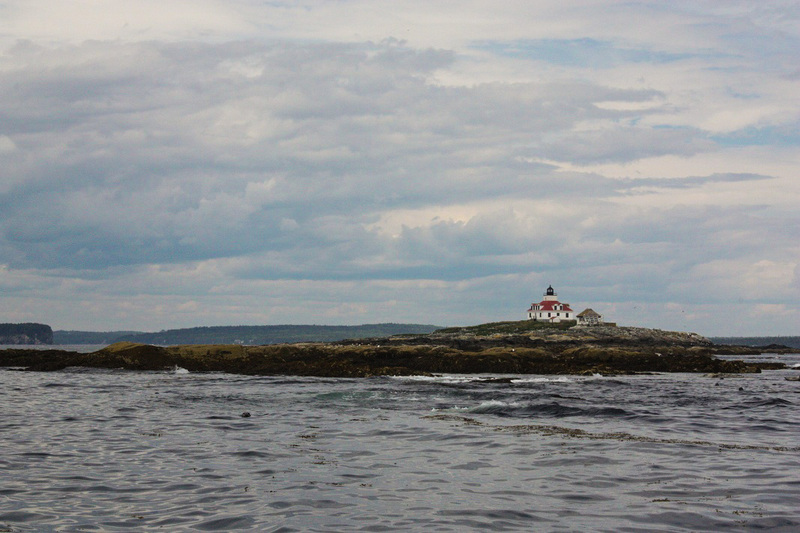 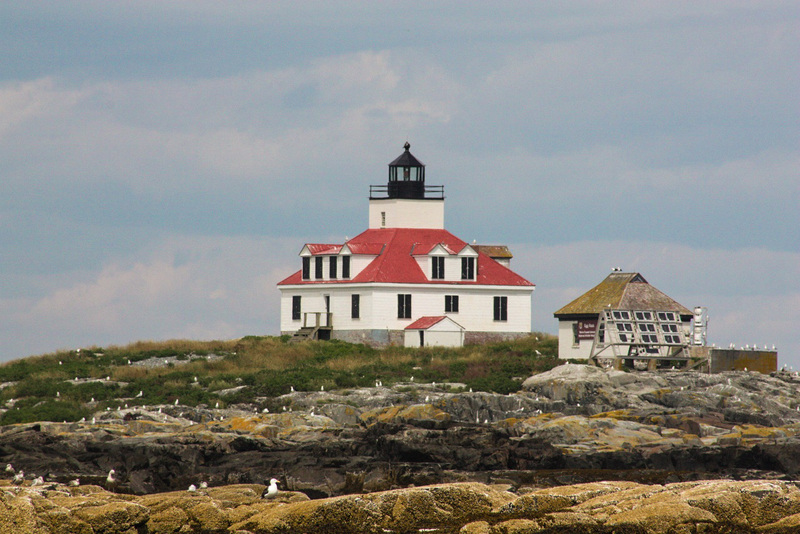 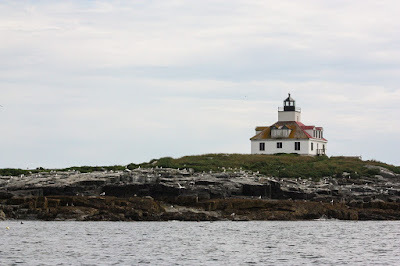 Is an accomplished naturalist and writer and published photo journalist specializing in the coast of Maine. 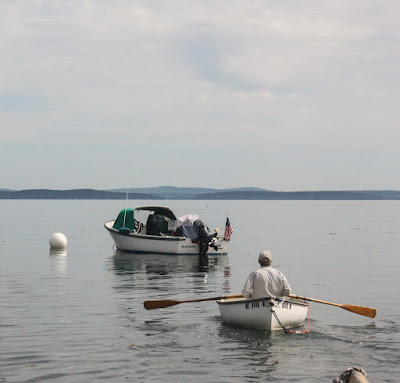 The first thing Captain Shaw had to do was to row his dinghy out to his anchored work boat. 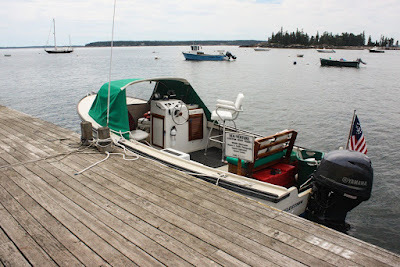 The boat was small but that was no problem for a couple of adventurists like ourselves. Captain Shaw would take the boat anywhere we wanted it to go. 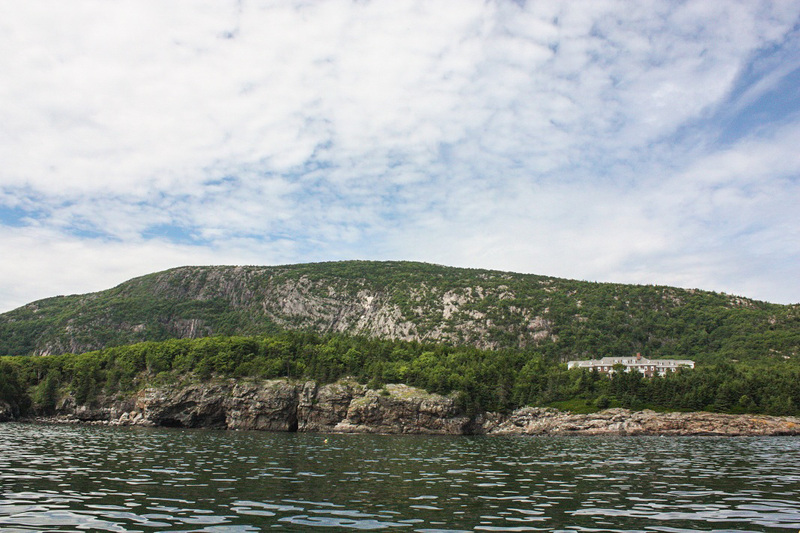 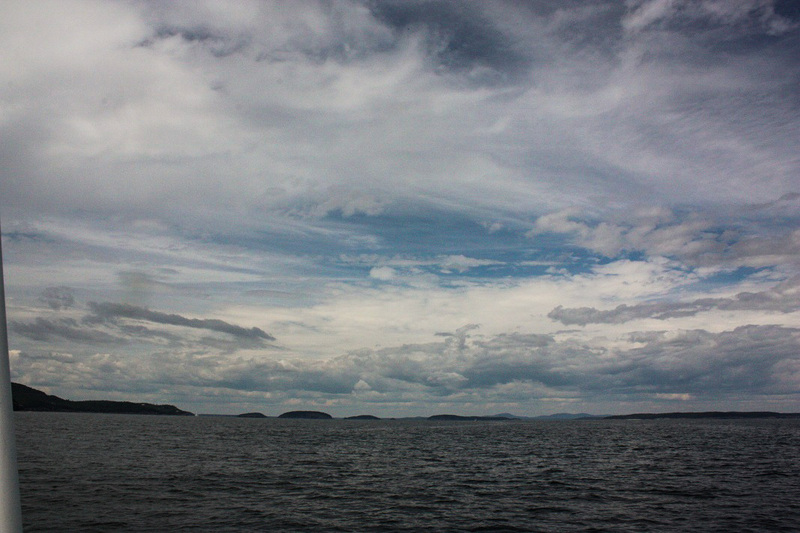 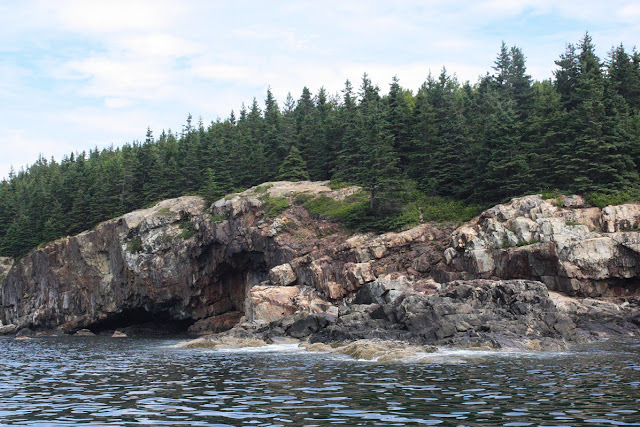 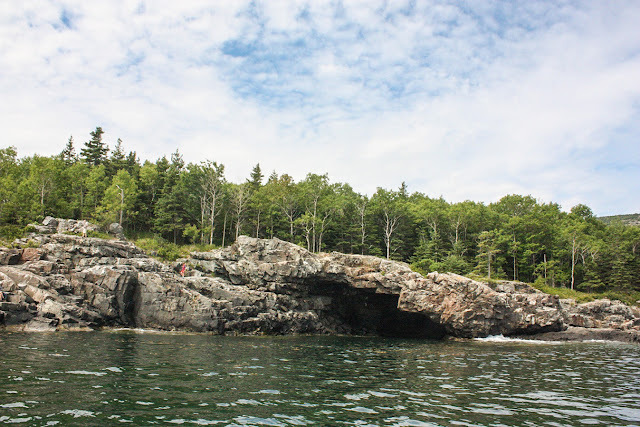 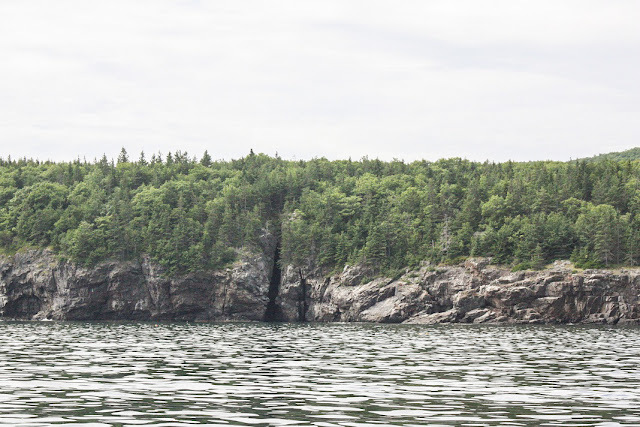 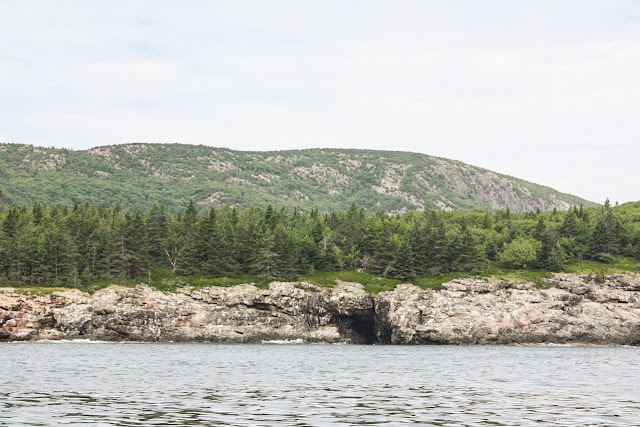 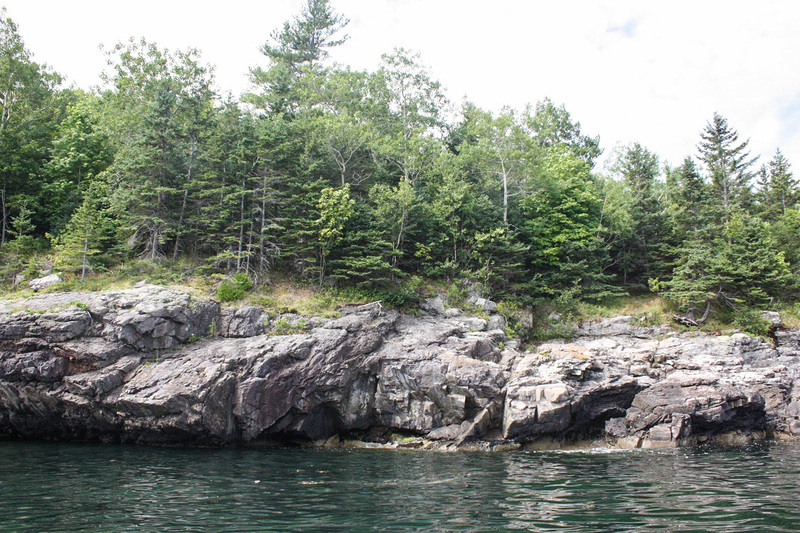 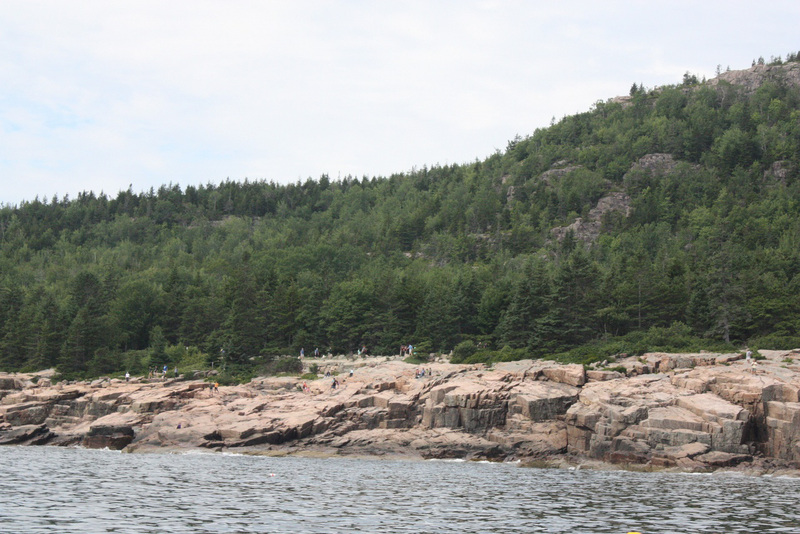 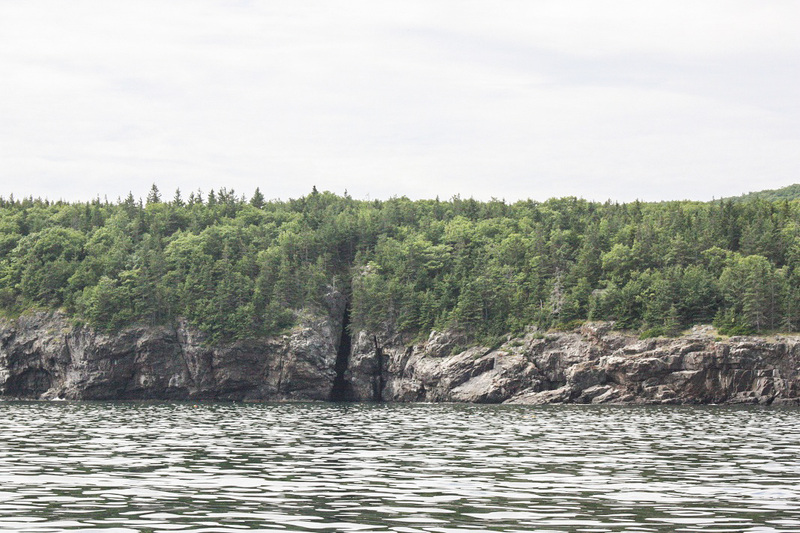 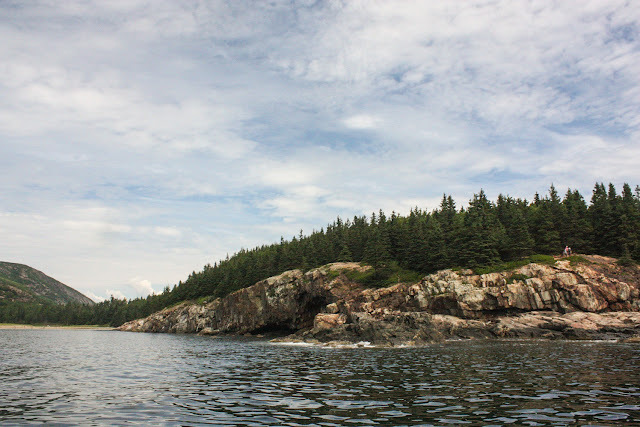 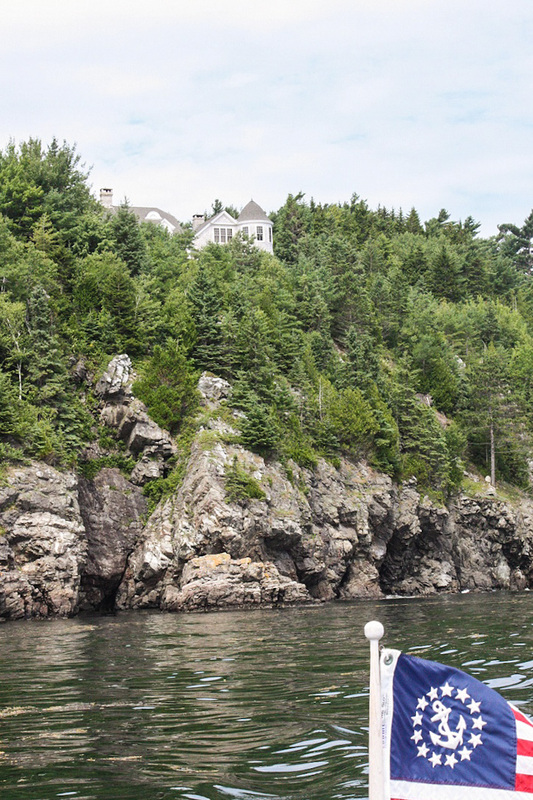 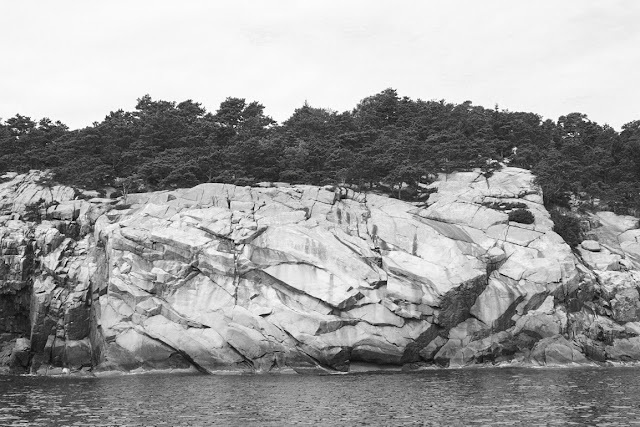 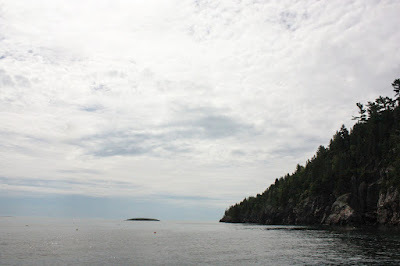 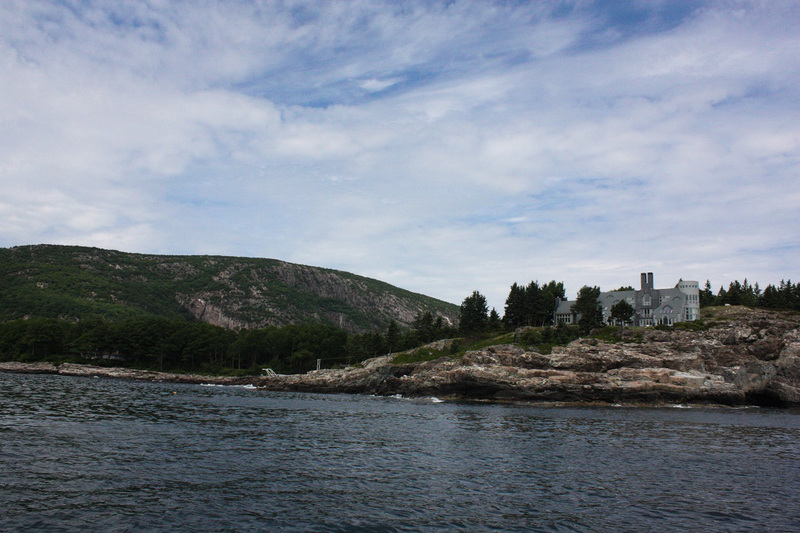 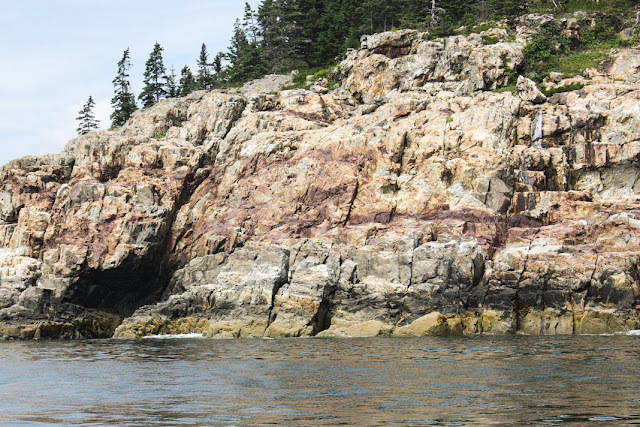 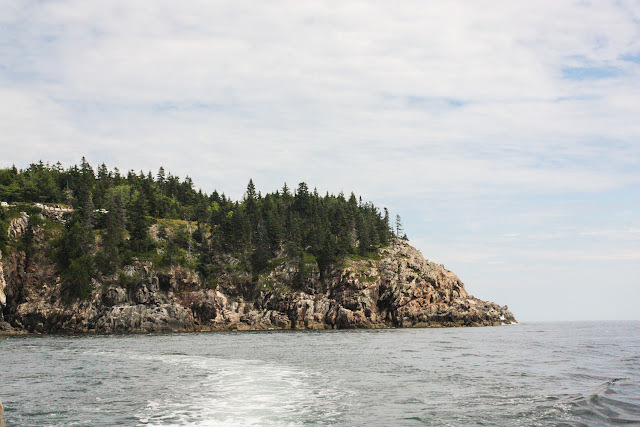 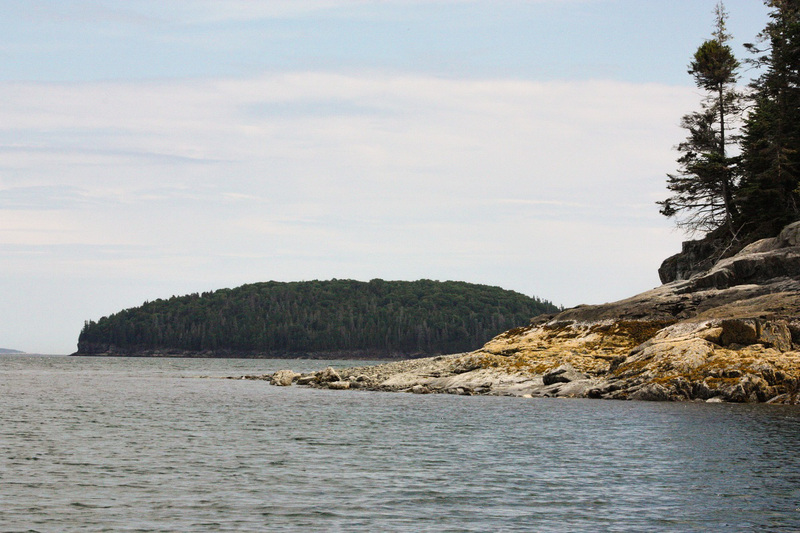 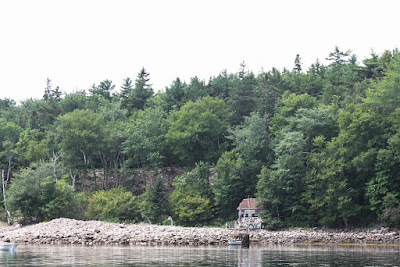 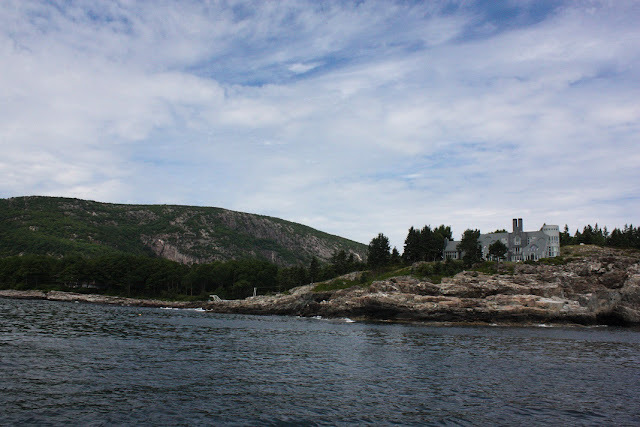 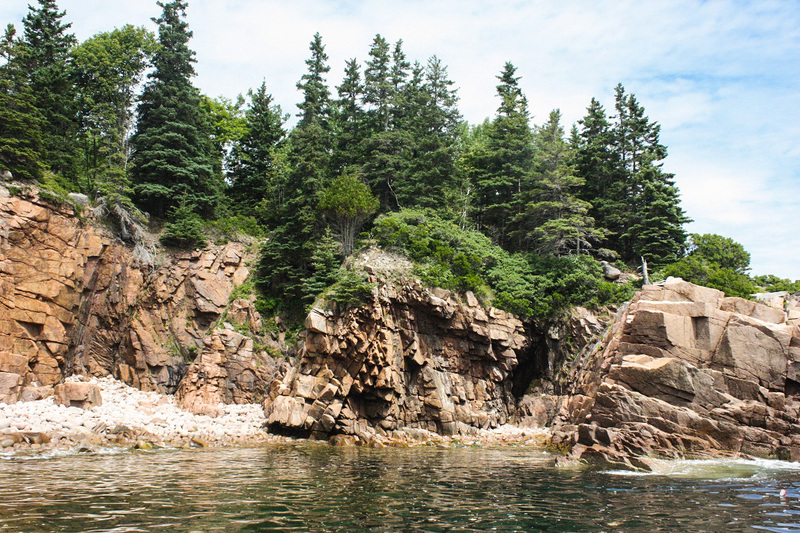 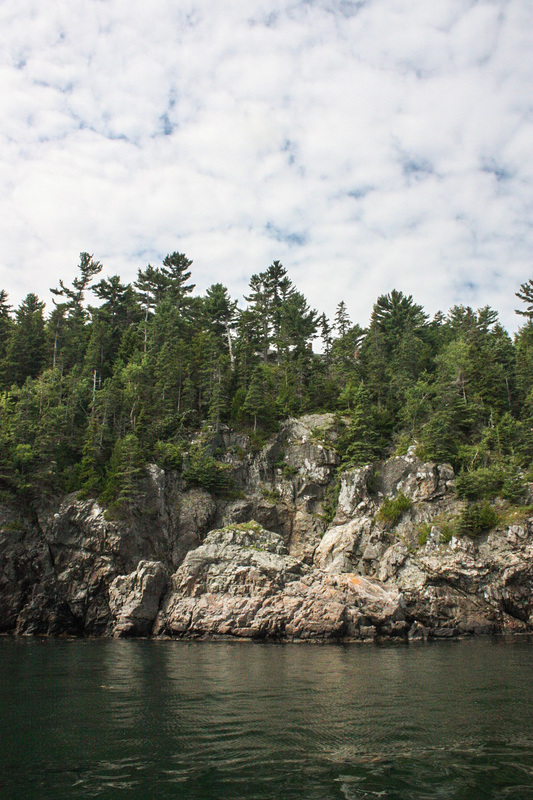 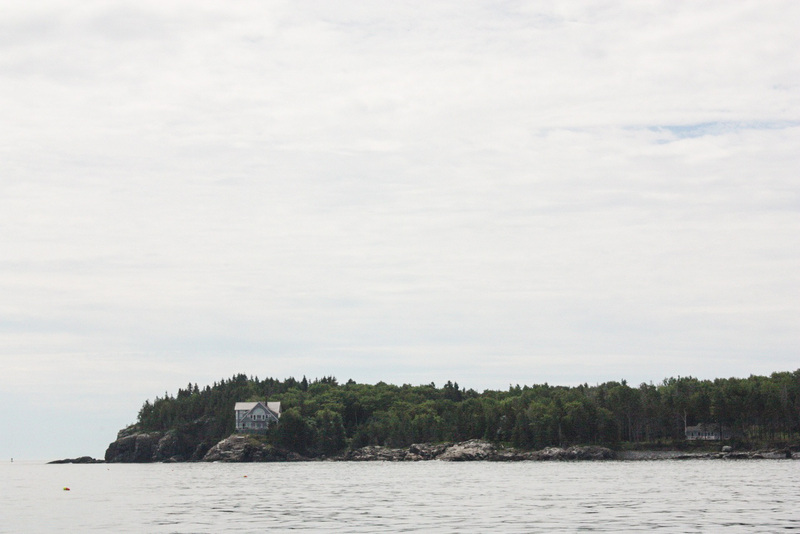 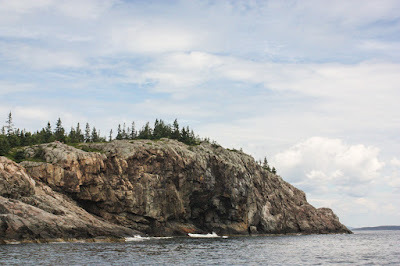 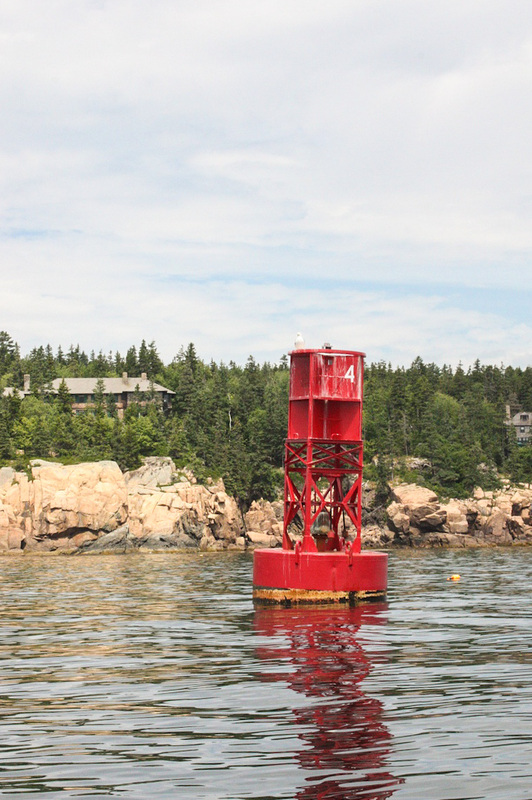 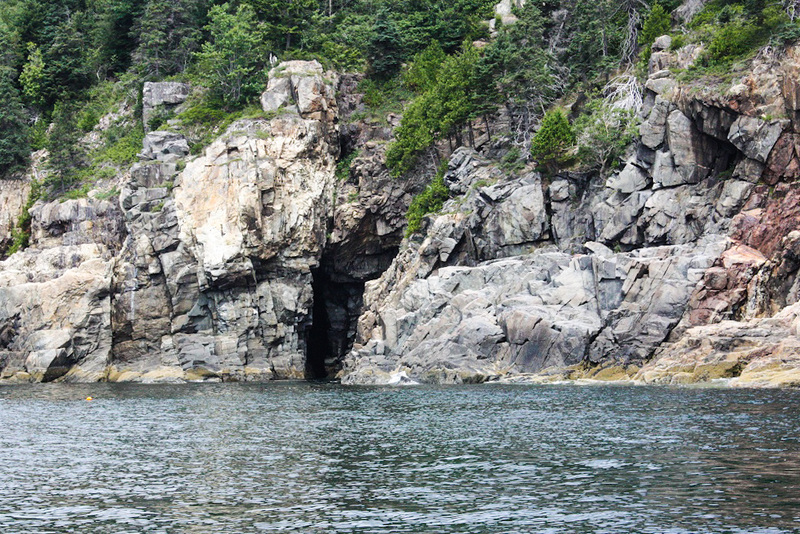 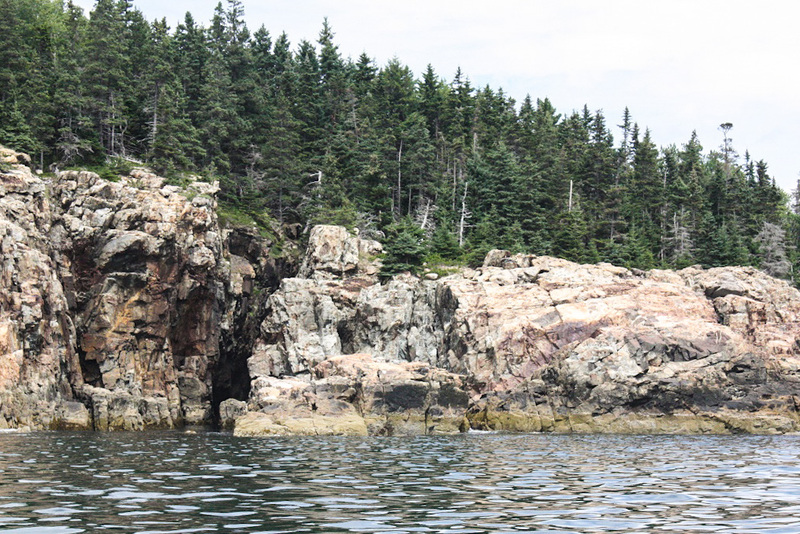 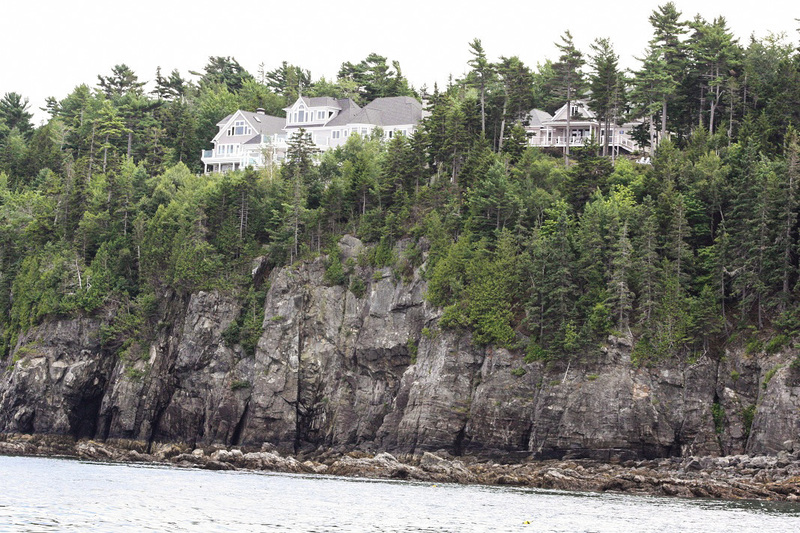 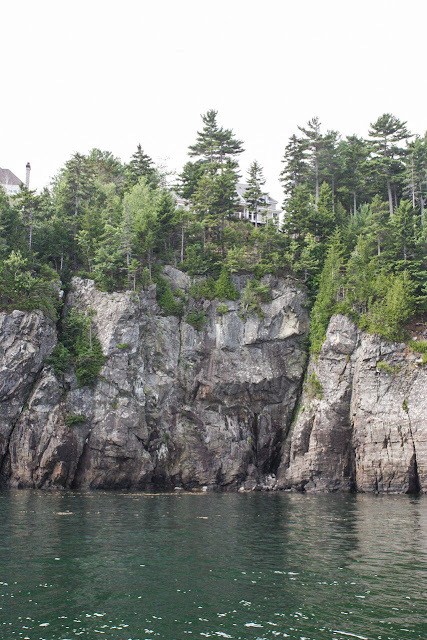 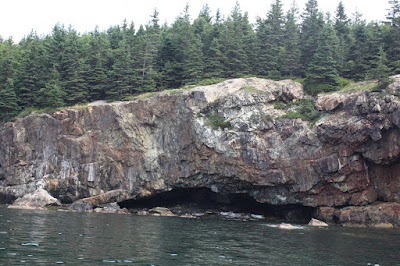 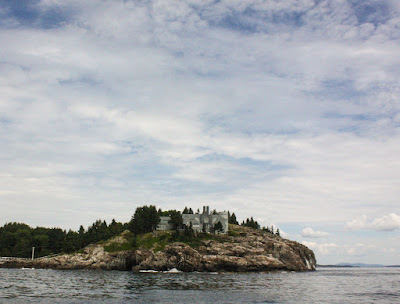 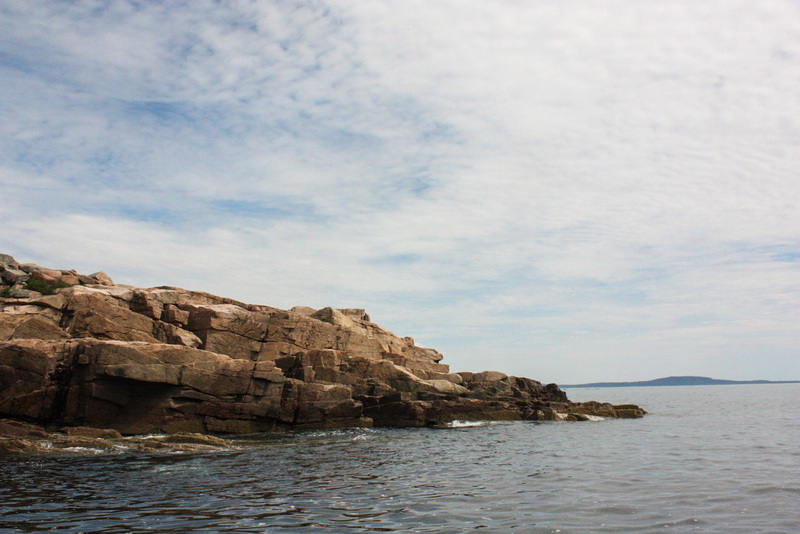 Captain Shaw pointed out several of the dozens of summer houses on the coast around Bar Harbor. 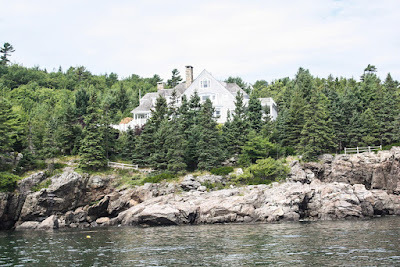 Captain Shaw had some opinions of the "One Per Centers" who own these multi million dollar mansions (called cottages here) that may or may not be used﻿ during the season. 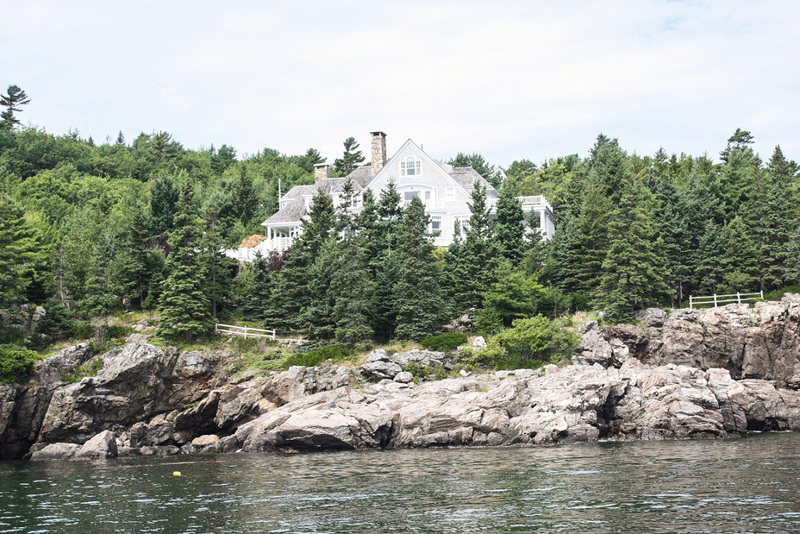 I don't know how you can call this a "cottage". 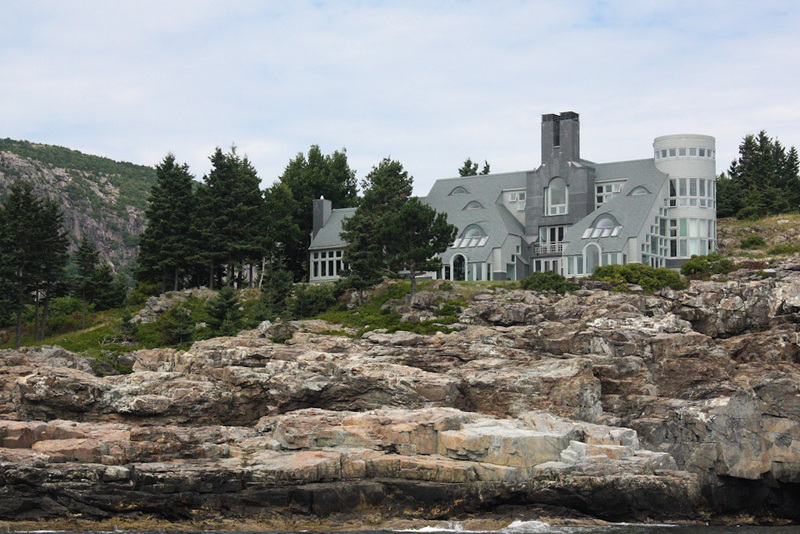 This was built be a lawyer who has made millions suing large corporations and the government, evidently successfully. 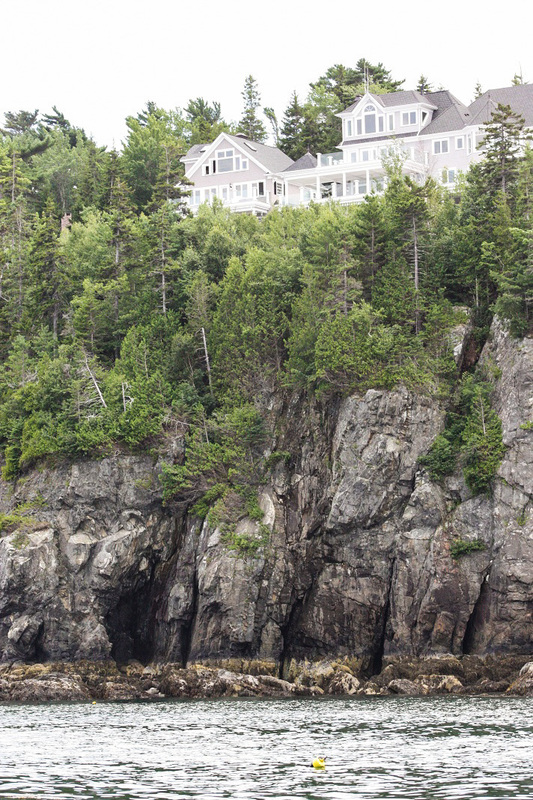 Now here is a real sized cottage. 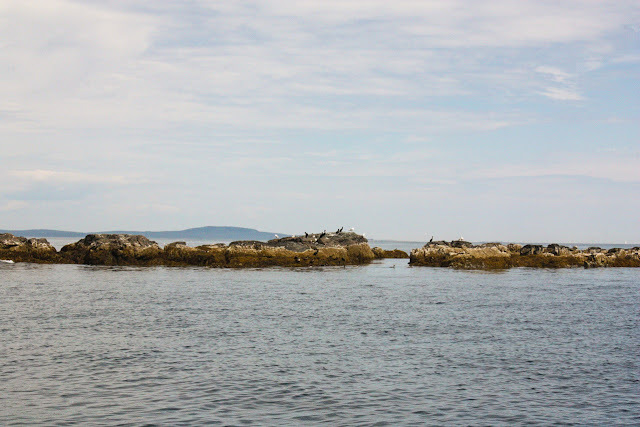 Cormorants and other sea birds sun themselves on the rocks. This is an old light house on Egg Rock. 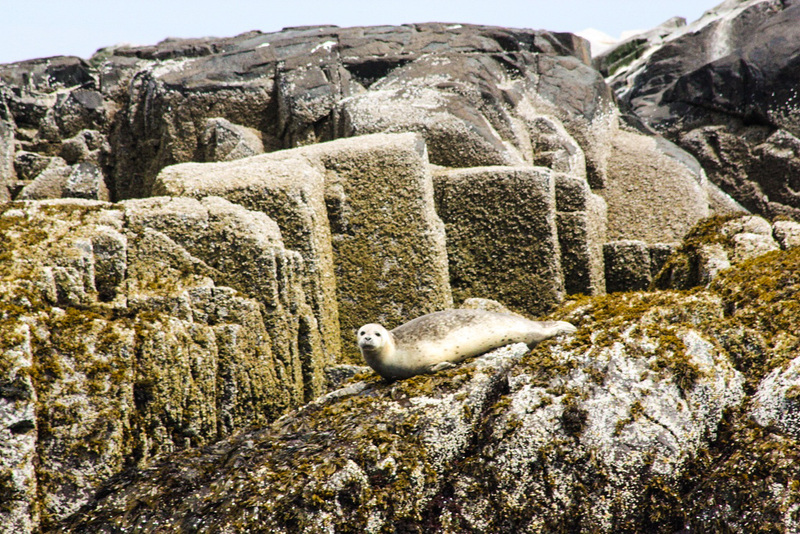 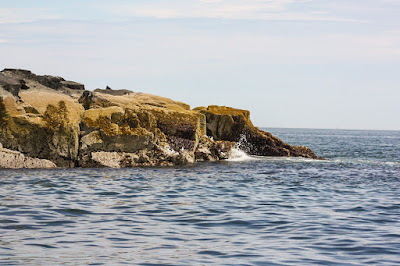 Looking at Egg Rock up close we found harbor seals and gray seals sunning themselves ay low tide. During high tide they feed. 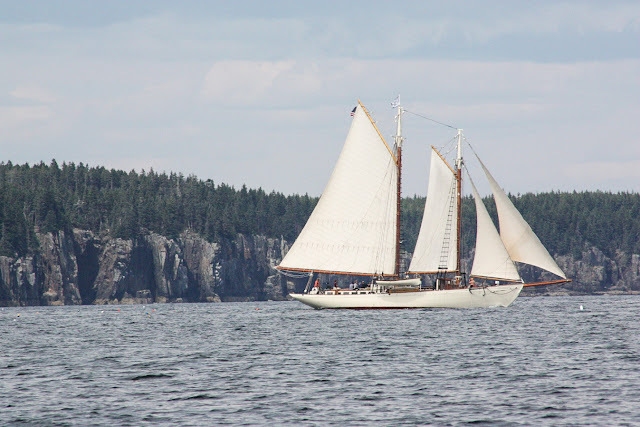 We had a chance to catch this traditional schooner with our camera. If you like boats, this one is beautiful. Right of center on Champlain Mountain a section of the mountain was exposed due to an earth quake two years ago as seen as a white streak down the mountain. 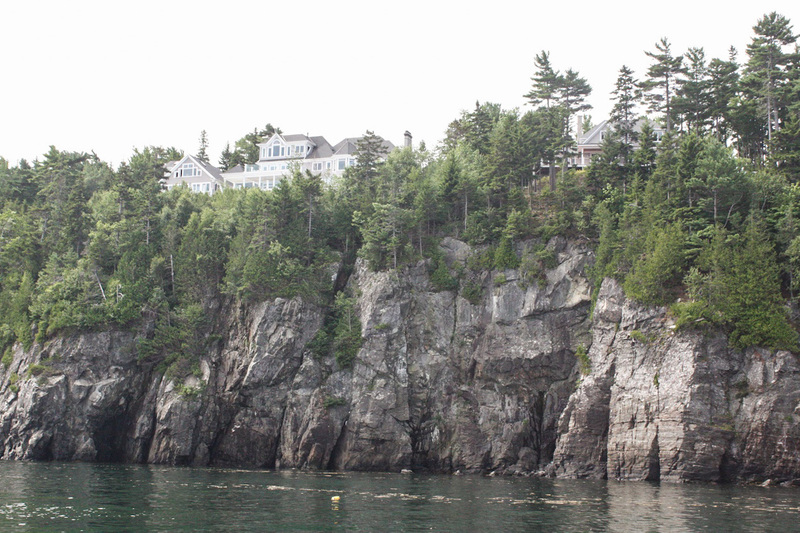 Seen from this distance it doesn't look like much but hundreds of tons of rock cleaved off the side of the steep cliff. 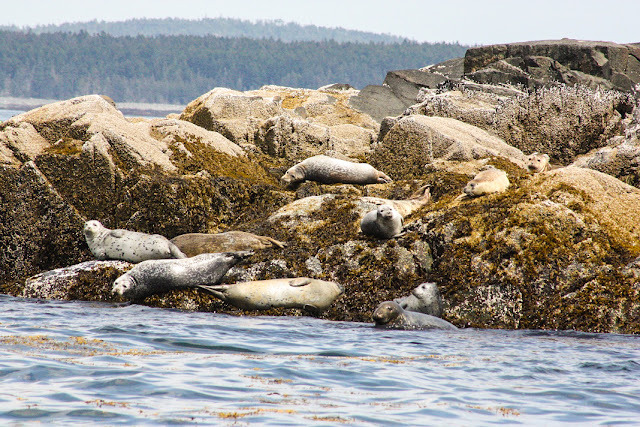 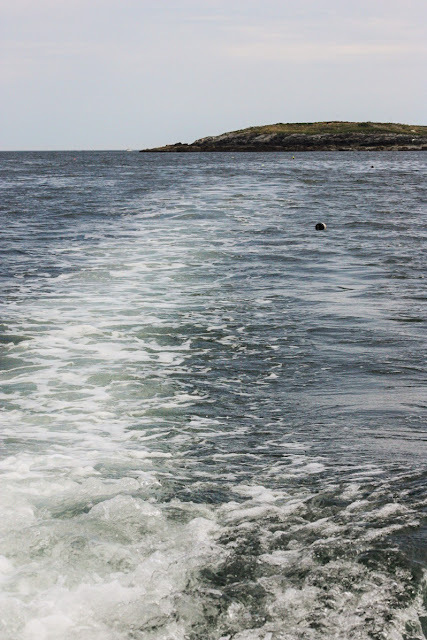 I took a lot more of the lobstermen and of an eagle and a lot more of the cute seals which I will post later.